Buy your friend a beer for his birthday. We do it all the time. How about doing it through Facebook? 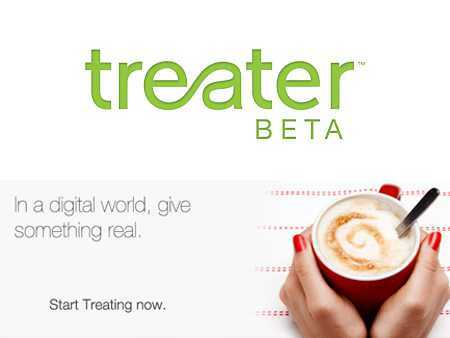 Mobile app Treater lets you buy your friend a beer, sweets, movie tickets, or coffee just to name a few. 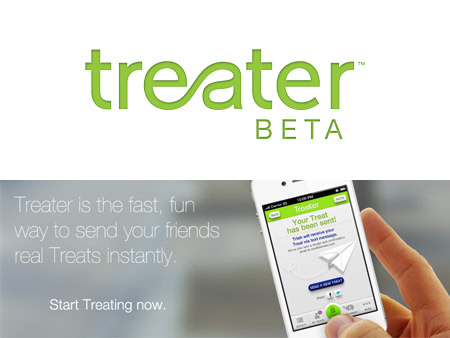 Is Treater destined to become one of the most popular Facebook apps? It wouldn’t surprise me at all. Let’s say it’s your Facebook friend’s birthday and in addition to sending them best wishes, you’d like actually give them something, even if something small but meaningful. Unless you’ve planned it, the likelihood that one remains online to order a treat to your friend’s door is slim. In addition, a gift arriving late, while better than no gift, is still not choice and we all recognize that. 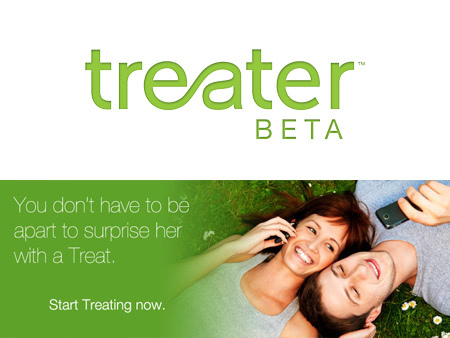 Mobile app Treater aims to change this and from the looks of it, it could take off quite quickly. Already having raised $2.5 million in seed funding, the app which just came out of beta works quite simply. On your friend’s birthday, just after writing “Happy Birthday” on their wall, you simply pick a friend from your friends list and then pay with a credit card. The processing for gifts under $5 is 50 cents and the fee for gifts under $19.99 is 99 cents. Any gift costing more than $20 will be charged with a 6% fee. In case you’re wondering, it’s not entirely necessary to have a Facebook account as gifts can be sent to mobile numbers or mobile email addresses. The message that you’ve gifted a friend is made public on Facebook and from there the recipient is sent a “Treat Card” to their mobile phone. All the recipient then has to do is show this “card” which contains a single use debit number that can be keyed in like any other credit card. The other nice part of this app is that gift recipients can keep the change they didn’t spend and that automatically becomes part of their “PiggyBank” which they can use towards future purchases for themselves, or for someone else. It’s alternative to gift cards and the best part is users don’t have to carry various cards with them. In addition to being able to buy your friends across the globe small via this app, merchants are also able to attract attention and customers instantly via Facebook. Any retailer can potentially be used as what users are given is a debit card number. It’ll be interesting to see how quickly this app takes off. While not an entirely new idea, it does seem like the best one executed yet and it’s like to quickly become one of the most popular facebook apps.